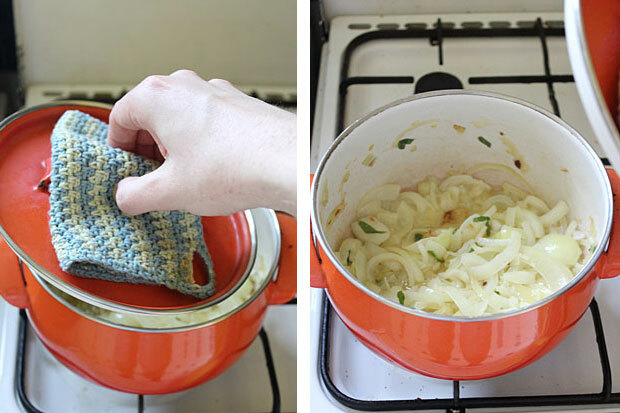 It is not the most manly thing to crochet a pot holder, but it is a clever thing to have in one's kitchen regardless of gender. 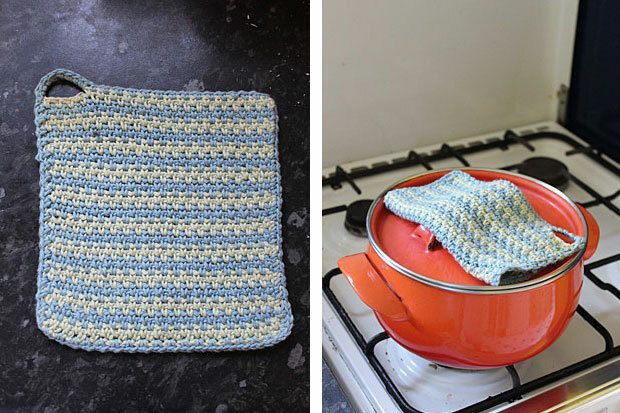 This potholder is crocheted using the pattern my nan submitted to ICA Kuriren in 1962 and is called Blueberry, which I wrote about here. The result of the cooking was Onion and Brie Quiche and the orange pot is a bargain from the local Antique Market, which is on every Thursday.